Whether you're planning a short and sweet break or a lengthy getaway, it's a good idea to know a little about Warder before setting off. Located 14 miles (23 kilometers) northeast of downtown Amsterdam, this suburb is a popular place to experience the national capital like a local. Visitors to Amsterdam will be sharing space with approximately 750,000 locals. Unbeatable prices are right at your fingertips if you purchase your accommodation and flight deal via Travelocity. Also, you can choose from more than 400 airlines and 665,000 properties. Would you like a panic-free getaway? Our Customer 1st Guarantee gives you the security of 24/7 personal assistance on all our services. If you happen to chance upon an even better bargain on a different site, we'll refund you the difference^. All package bookings may be easily rescheduled with no nasty charges from us. And as long as you get in fast, most accommodations won't charge you a fee either^. After a big day exploring Warder, you'll need a comfy bed to catch up on some sleep. While it's tough to find a place to stay in the heart of this neighborhood, you will be able to secure a room at one of the 11 properties a short drive away. Confused about where to lay your head? The Hotel en Restaurant de Fortuna (Spuistraat 3) and the art hotel Spaander (Haven 15-19) are favored by many travelers. Whether you opt for the first property or the second, you'll get a terrific night's sleep. Where do you fly into for Warder? Admire the scenic view as you descend into Schiphol Airport (AMS). Pick up your bags, get through the security gates and you'll be 20 miles (32 kilometers) southwest from the center of Warder. Can I rent a car in Warder? Reserve a rental car with the help of Travelocity and experience Warder at your own pace. Cruise straight from the runway to the freeway when you pick up your car at Schiphol Airport. Head to Avis and Enterprise. You'll find them just a short walk away. You might also like to think about Alamo Rent A Car and Hertz. Take off into the wider Amsterdam area and get close to nature with activities like ice skating. If you're really eager to make some lasting vacation memories, put mountain biking on your must-do list too. Middelie and Edam are well worth a visit while you are here. Middelie is around 1 mile (2 kilometers) away, while Edam is 3 miles (5 kilometers) away. 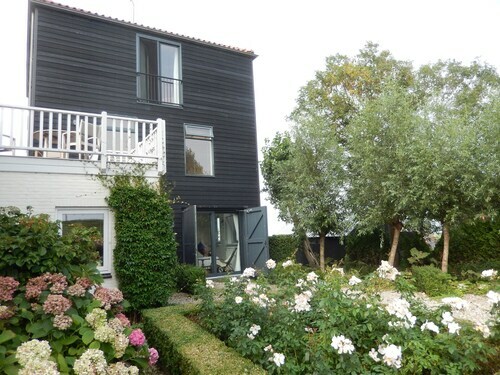 Situated on a lake, this farm stay is within 3 mi (5 km) of IJsselmeer, Edams Grote Kerk, and Kaasmarkt. Edams Museum and Damplein are also within 3 mi (5 km). 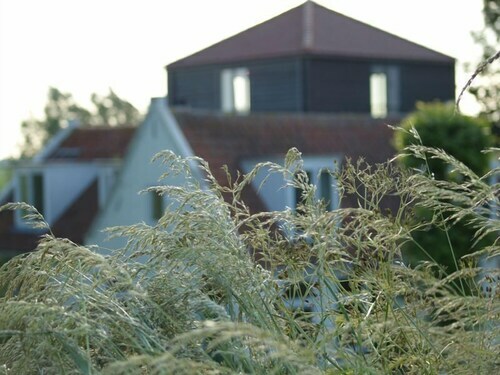 Situated on the waterfront, this romantic farm stay is within 3 mi (5 km) of IJsselmeer, Edams Grote Kerk, and Kaasmarkt. Edams Museum and Damplein are also within 3 mi (5 km). Situated on the waterfront, this historic farm stay is within 3 mi (5 km) of IJsselmeer, Edams Museum, and Damplein. Speeltoren and Kaasmarkt are also within 3 mi (5 km). 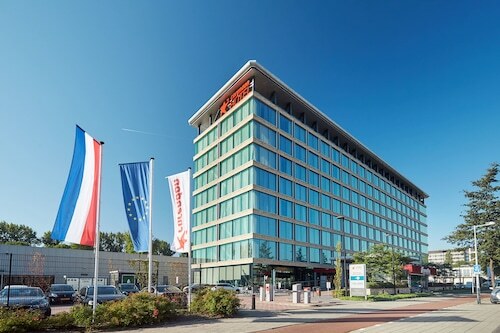 Situated near the airport, this spa hotel is 3.1 mi (4.9 km) from De Meervaart Theater and within 6 mi (10 km) of Rijksmuseum Amsterdam Schiphol and World Trade Center Schiphol Airport. World Fashion Centre and Sloterpark and Sloterplas are also within 6 mi (10 km). 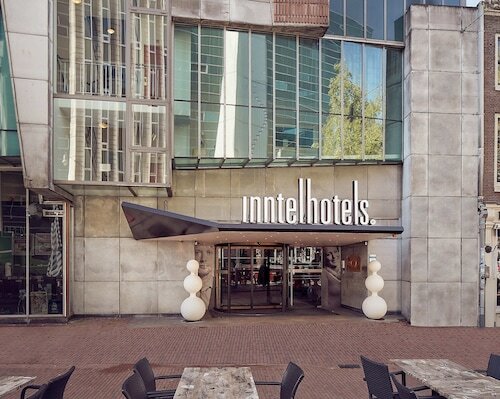 Located in Amsterdam West, this eco-friendly hotel is within 3 mi (5 km) of Westergasfabriek Culture Park, Vondelpark, and Anne Frank House. Leidseplein and Dam Square are also within 3 mi (5 km). Sloterdijk NS Station is 12 minutes by foot and Amsterdam Sloterdijk Station is 14 minutes. Bordered by a warren of narrow streets lined with pubs, cafés, and restaurants, this hotel faces a small square, and is 400 metres from the central train station. Dam Square, Royal Palace, and Nieuwe Kerk are all within 500 metres of the hotel. 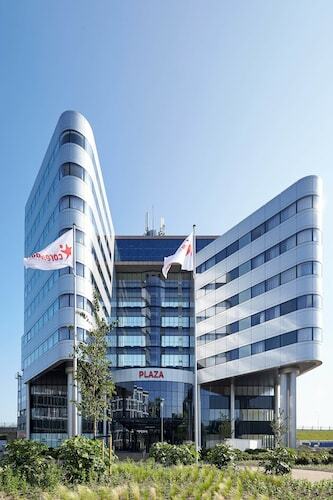 Located in Nieuw-West, this spa hotel is within 2 mi (3 km) of World Fashion Centre, Vondelpark, and Olympic Stadium. Van Gogh Museum and Rijksmuseum are also within 3 mi (5 km). Henk Sneevlietweg Station is only a 2-minute walk and Heemstedestraat Station is 9 minutes. 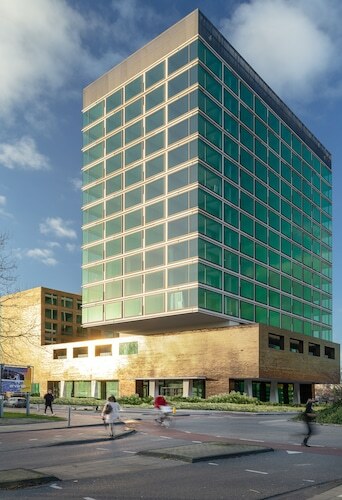 Located in Amsterdam South, this hotel is within 1 mi (2 km) of VU University Medical Center, Vondelpark, and Olympic Stadium. RAI Exhibition and Congress Centre and Concertgebouw are also within 2 mi (3 km). Amstelveenseweg Station is 6 minutes by foot and Amsterdam Zuid Tram Station is 18 minutes.